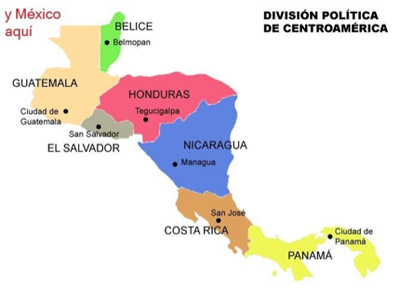 The isthmus of Central America (for coffee purposes, the five southernmost Mexican states must also be included) is a geologically active region, home to the mountain ranges and fertile volcanic soil so conducive to coffee production. About one-fifth of Arabica is grown in Central America and Mexico. Central American coffees tend to share the following features: mild intensity with light to medium body and good balance. Mexico tends more toward brightness and light body than does Guatemala, and Costa Rica provides all-around pleasantness (and higher-than-average caffeine content). Currently in store at Red Rock are a dry, bright, very fine Mexico from finca Custapec in Chiapas, a balanced and chocolatey sweet Costa Rica from La Reserva Presidente, and Guatemala Huehuetenango, a lively, spicy coffee with a caramel finish. In the last three years, a fungus known as roya or leaf rust has spread to approximately 35% of sown coffee crops in the region. 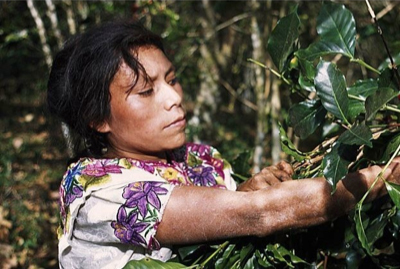 This is a very dire situation, as 1.5 million Central Americans directly depend on coffee for their livelihoods (and many more do indirectly). In Guatemala, where 70% of last year's crop was blighted and a third of the working population grows coffee, a state of emergency has been declared. Roya can be controlled, but requires several expensive spray treatments per crop, combined with the cutting of shade trees. Neither of these controls are environmentally desirable. Coffee Kids is one of our favorite charities, and their programs are particularly valuable in light of the roya disaster.